Well no one quite expected this. 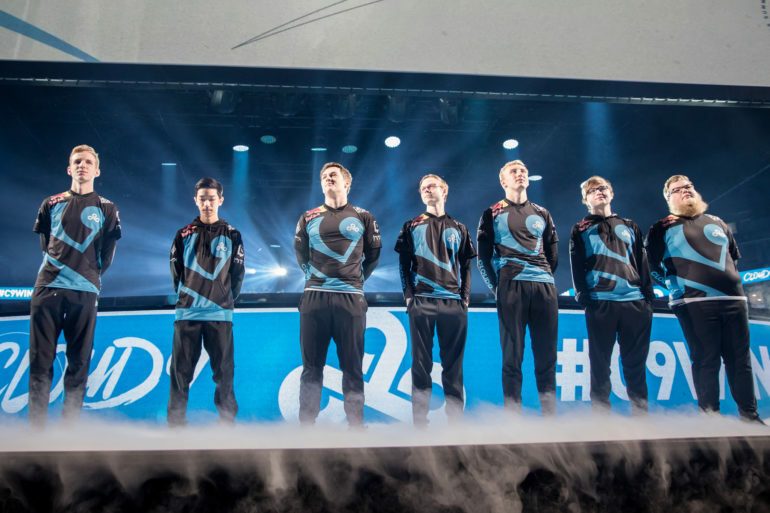 Heading into the final round of the NA LCS regional gauntlet today between Cloud9 and TSM, everyone knew the reality that one of these historically-dominating domestic titans would be missing out on Worlds. It’s probably safe to say that no one thought it would be a 3-0 sweep, though, nor that TSM would play quite as poor as they did. Sure, C9 surprised them with an audacious top lane Hecarim, but that doesn’t excuse just how badly TSM were routed today by their long-time rivals. At the end of the games today, TSM were left beaten, battered, and bruised. And although C9 didn’t play a perfect series by any means, they definitely proved that they’re the superior team. Aside from the top lane Hecarim, the team comps were relatively standard with the flavor-of-the-week mid lane Urgot, tanky junglers, and play-making supports like Alistar and Rakan. While both teams appeared to have a grasp on the meta in the pick-ban phase (and C9 apparently had a grasp on their own meta), TSM just couldn’t capitalize. At nearly ever turn, they were outpaced, outsmarted, and all-around outplayed by C9. Again, though, C9 didn’t play as well as we’d hope from a now Worlds-qualifying team. But Cloud9 still looked at least a little better than they did in their battle for the NA LCS title against Liquid last week where they all but crumpled. Apparently, though, that’s all they needed to beat TSM, who didn’t appear to know how to move around the map or pressure objectives against C9. Mostly, TSM’s flaws were based on macro errors and silly positioning mistakes, but there were tons of them. With that, Cloud9 aims to surprise North American fans for another year at Worlds by being the region’s third seed. Hopefully they can pull it off again.